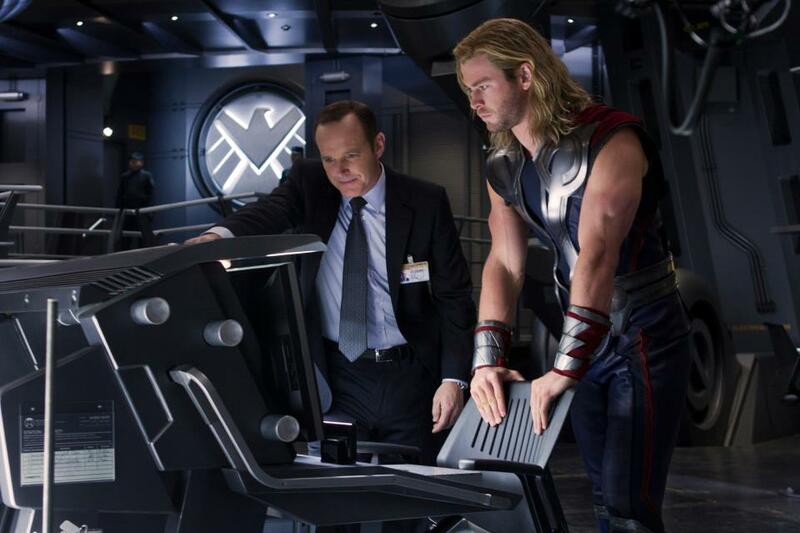 Marvel has shared this new image from THE AVENGERS featuring Agent Phil Coulson and Thor (played by Clark Gregg and Chris Hemsworth, respectively) aboard the Helicarrier. Continuing the epic big-screen adventures started in "Iron Man," "The Incredible Hulk," "Iron Man 2," "Thor," and "Captain America: The First Avenger," "Marvel’s The Avengers is the super hero team up of a lifetime. When an unexpected enemyemerges that threatens global safety and security, Nick Fury, director of the international peacekeeping agency known as S.H.I.E.L.D., finds himself in need of ateam to pull the world back from the brink of disaster.